Did you receive a GO! Cutter for Christmas and aren't sure where to begin? Have you thought about purchasing a GO! Cutter but you're not sure? 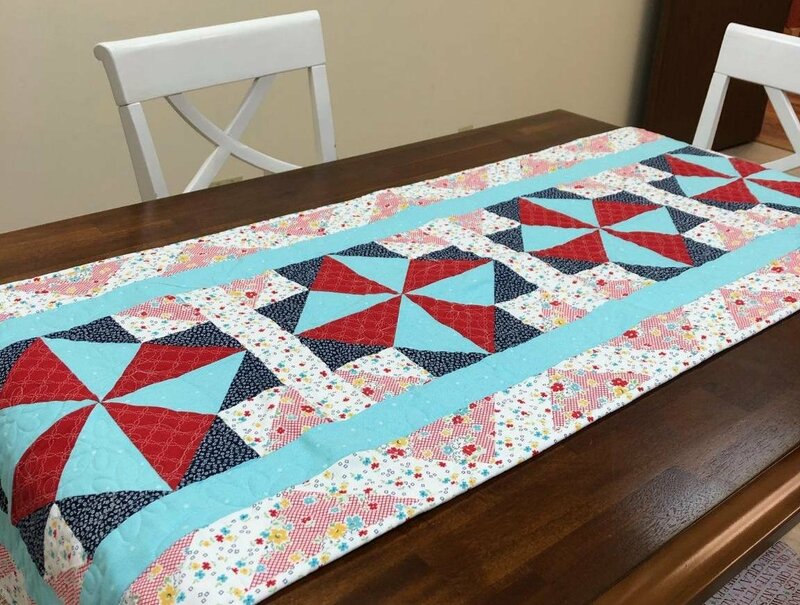 Make this basic table runner with us and learn how much easier a GO! Cutter can make your quilting. All you really need is the Flying Geese die (#55456). A two day class, one day to cut and one for sewing. Please stop in and select your fabric before the first day of class. Materials Included: Fabric for top and binding included. Requirements: Please stop in and choose your fabric before the first day of class.